A redesigned battle map, greatly challenging challenges and a brand new score board for the best fighters are waiting for you! The version 1.4 is on its way to you and it holds a few hopefully exciting improvements beyond ironing out the wrinkles of the last release. First of all the accidental clicks on levels have been sorted. You can discover the whole map with confidence, you will not start a battle unwittingly. The biggest change on Map is that the level limit hase been removed. You can play as much and as long as you like. I never thought that anyone would go beyond 170, but there was an obvious need so here you are. 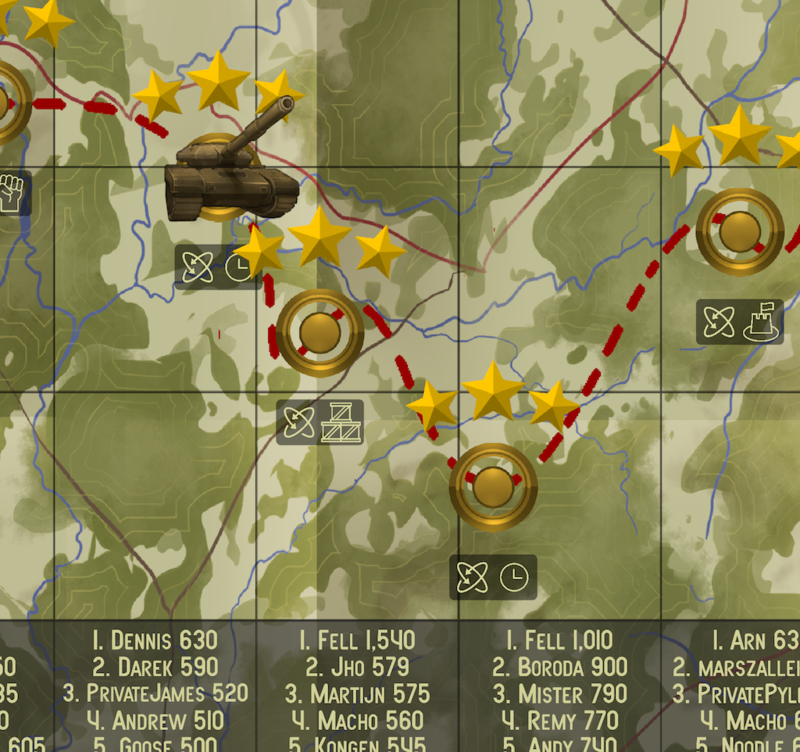 An other change is that the little tank that shows the position on Map is not a static prop anymore. It follows your movement on map. and Multiplayer Challenge. This last one has not implemented fully. Basically it is a Time Challenge, but the players will be other human players - but not in this release. We have a few score boards throughout the game. You can compete with other players on daily and weekly scores, two hugely popular races, and also every level has got its own winners. We have a Best Battle competition as well, though it is a bit meaningless as it is hard to compare two different battles. I removed this competition and introduced a new one - Best Fighters. Best Fighters competition is aggregating the overall achievements over every rank and announces the top 3 winners, giving them a gold, a silver and a bronze medal.